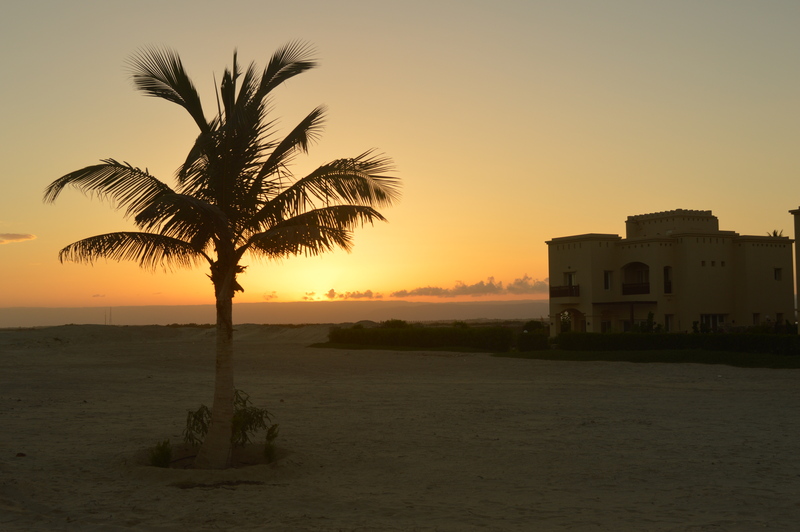 The main reasons for my trip to the south of Oman were sun, beach and relaxation. 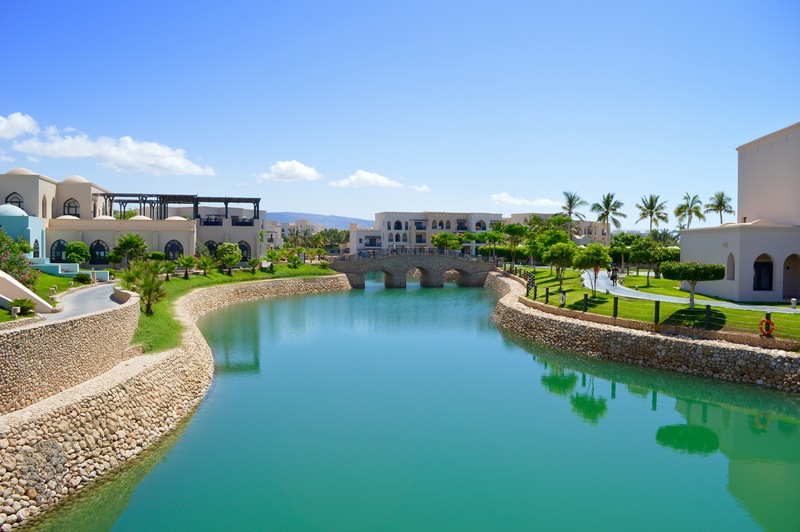 Due to this, I booked the 5-star Salalah Rotana Resort, which is located about 20 kilometers east of the center. 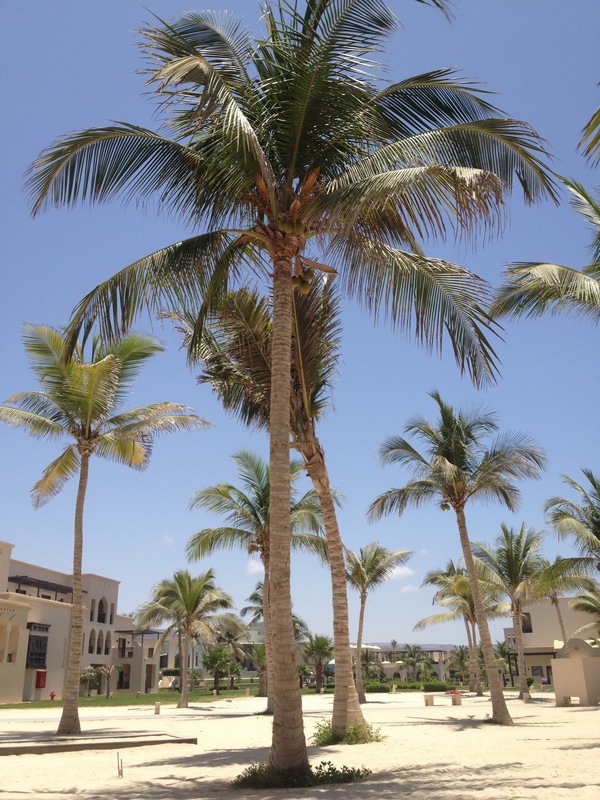 From the beautiful airport (as I was there, the airport was brand new) Salalah I reached the hotel by taxi for a fixed price of 15 OMR. 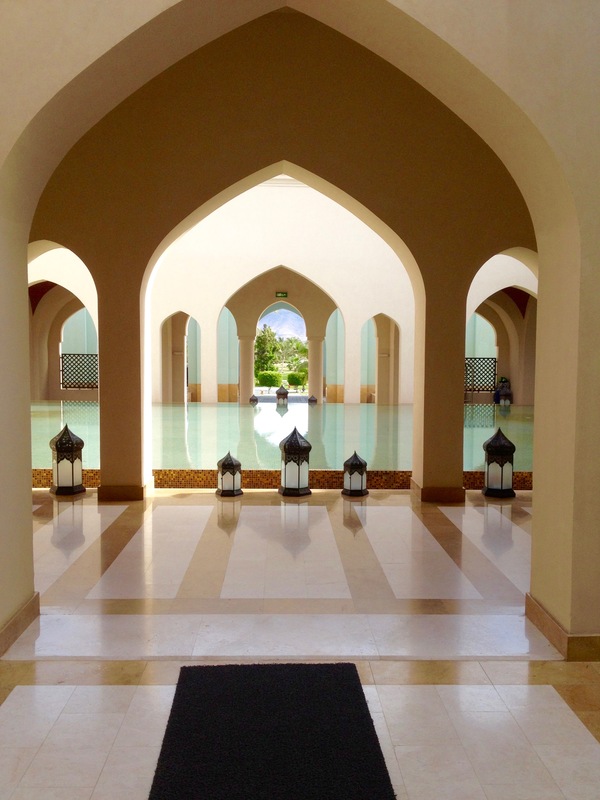 The Check-in was quick and easy, a welcome glass of grape juice and damp towels were served – very pleasant! 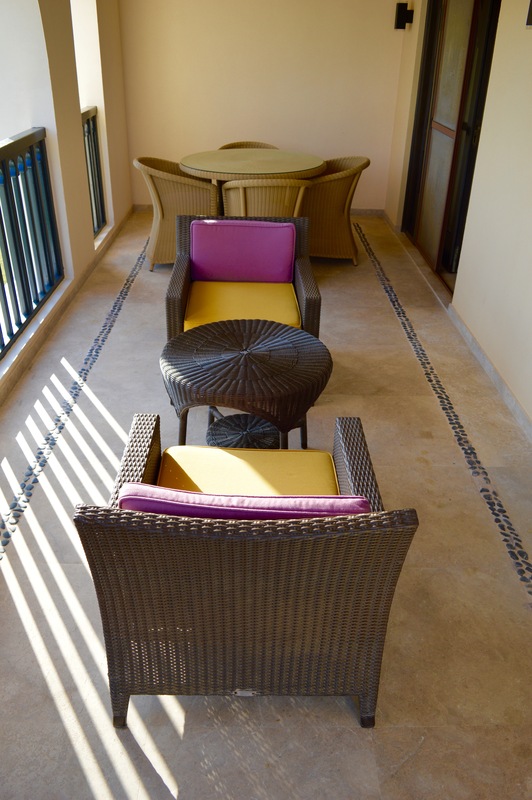 The entire resort has several bungalow complexes, which are distributed throughout the area. From the outside, all the houses are identical in typical Omani style, absolutely spotless and every day it put me in holiday mood when the blazing sun was beaming at these beautiful houses. 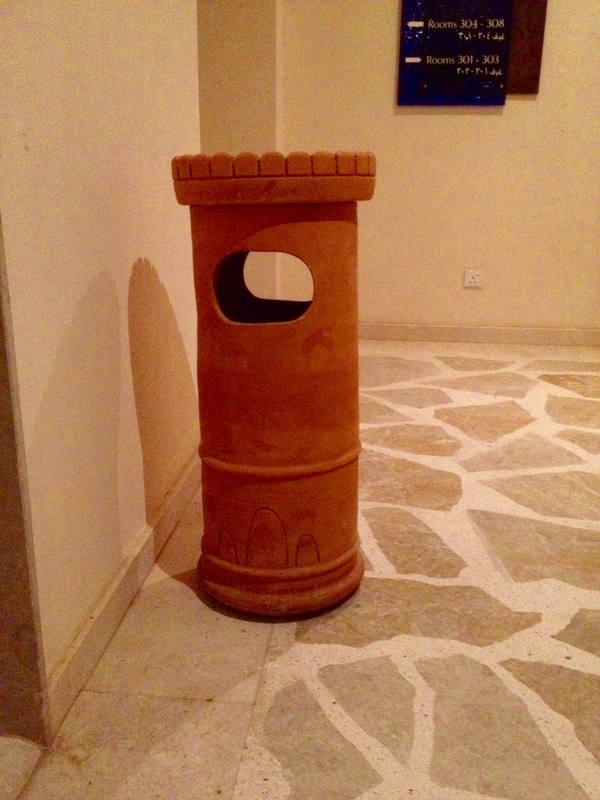 The attention to detail is even obvious in the dustbins which are placed almost every 3 meters, because they´re designed in the style of an old Omani watchtower – very, very nice! My suitcase and I were taken to the room in Cluster 7, directly at the beach, by a golf cart. (and especially to the beach) are quiet far. My recommendation therefore is to book a room with sea view – it is definitely worth the extra fee! The room itself was so beautiful that I could rave about it for several hours! 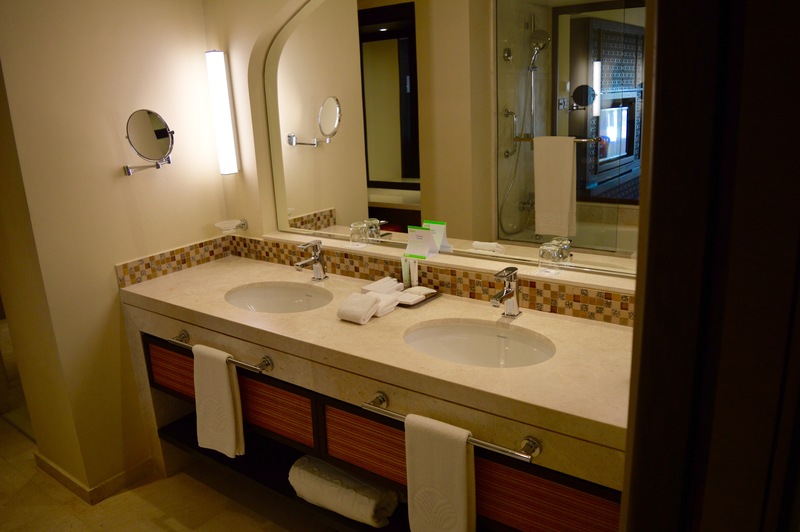 The bathroom was very huge, with walk-in shower, a bathtub and a separate toilet. 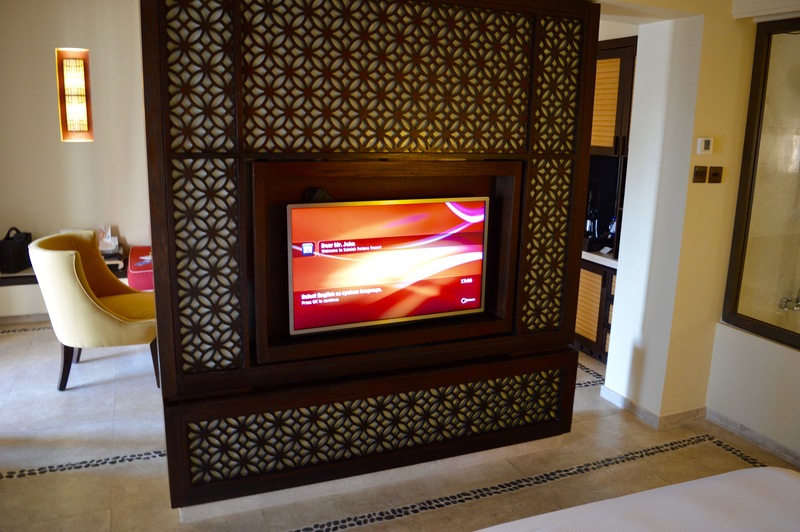 The living room is divided into the bedroom and the living area with an Oriental-style room divider where a swiveling flat-screen TV is integrated. 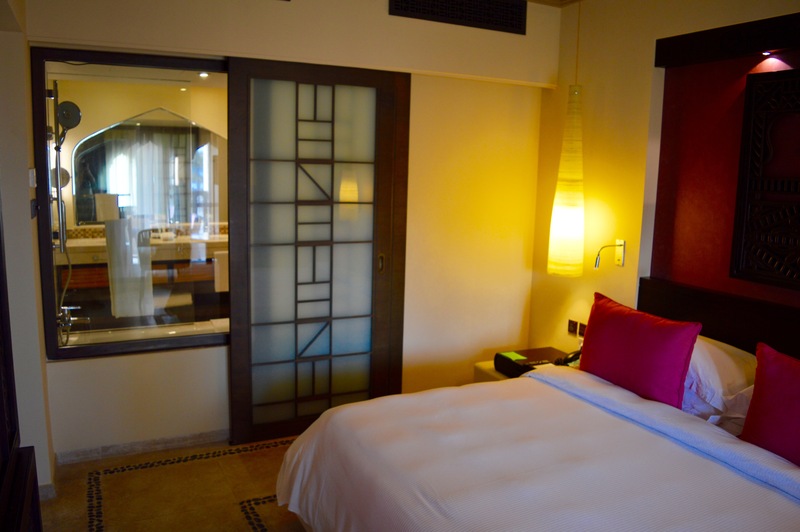 Two separate air conditioners ensure pleasant room temperatures and I really didn´t want to leave the room – it was very beautiful and stylish. The bathroom is separated from the sleeping area by a glass pane. Because of this, I had a sea view out of every part of the room – absolutely fantastic! For those who don´t want to have this view, they can prevent it with a frosted glass sliding door. 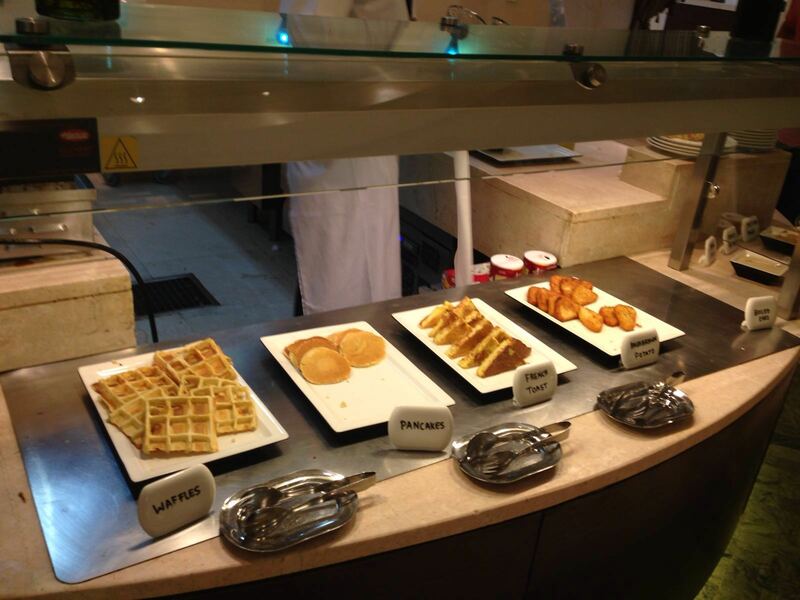 I want to mention that the room service was absolutely outstanding! 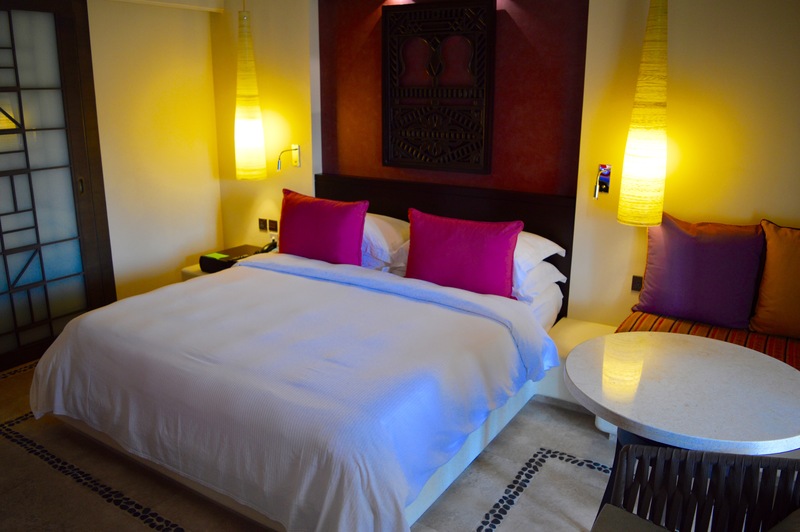 Twice a day the room was cleaned, the sand was removed from the smallest corner and even a small removed sachets of milk from the minibar was immediately refilled – impeccable and outstanding! The large balcony has two seatings, it offers unobstructed sea view to two sides and it was very well maintained and clean, as well. 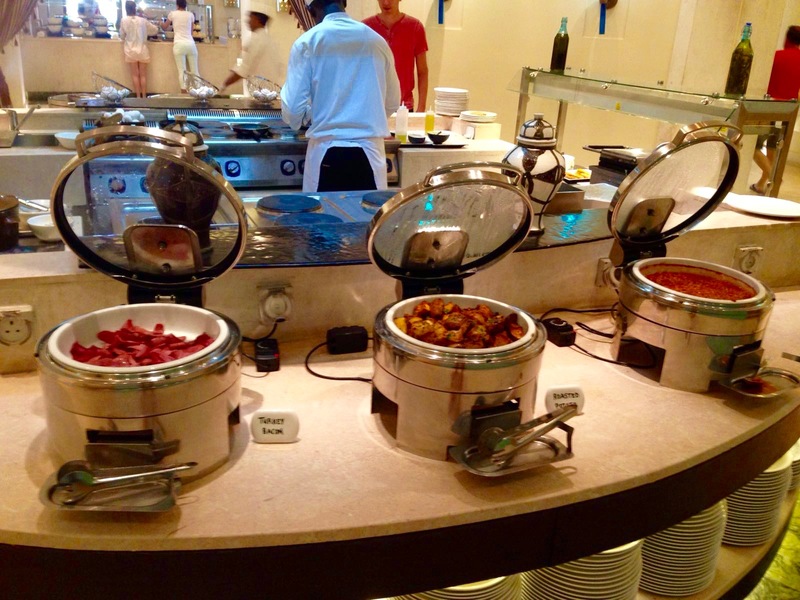 The food, in my case all-inclusive, is offered in the main restaurant called „Saffron“ as a breakfast, lunch and dinner buffet. All dishes have really tasted well. Unfortunately it was not fantastic. 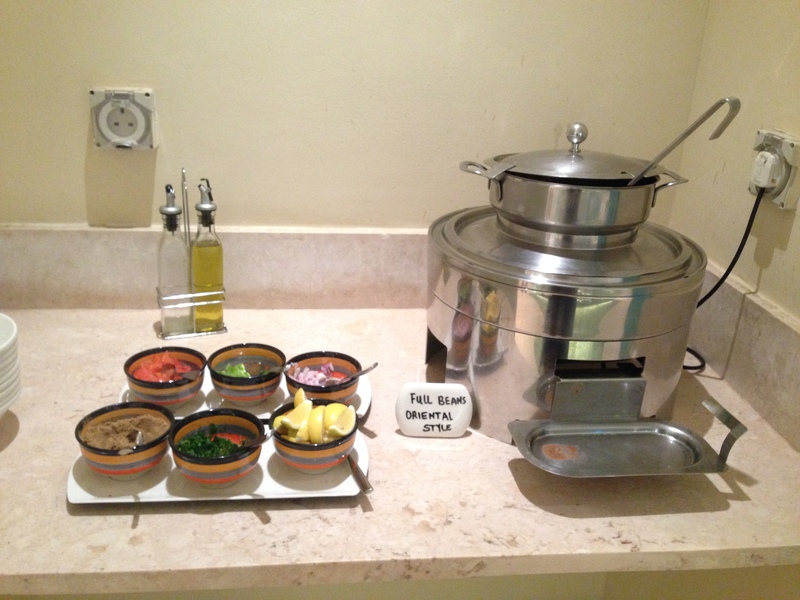 Even if the dishes themselves and the salads were all fresh, they could´t convince me on a 5-star level. 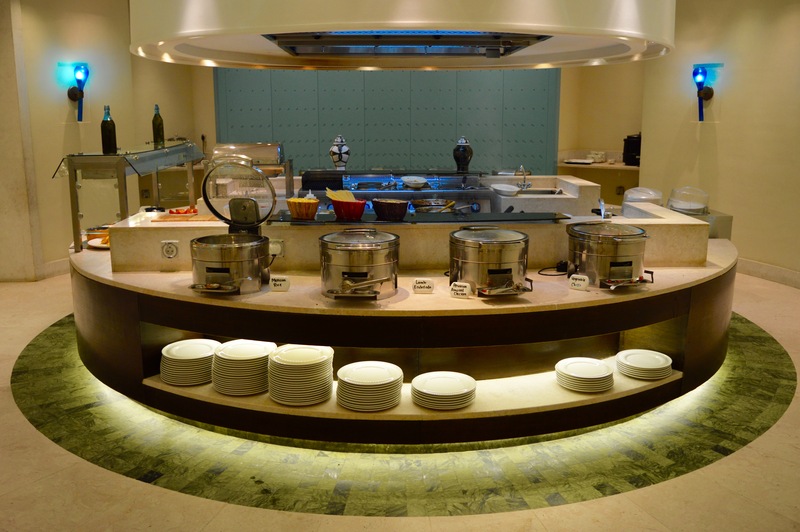 The lunch and dinner buffet was almost identical and even the desserts haven´t really varied from day to day; varied theme / action days or live cooking didn´t exist. 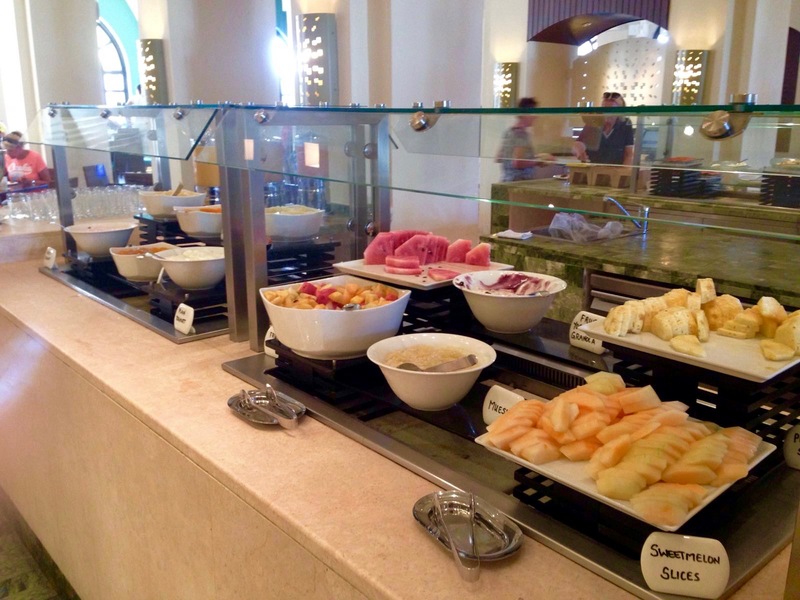 The breakfast was extraordinary tasty: fresh fruits, muesli, waffles or fresh omelet – very good! Another positive thing are the free drinks that are offered through the day at the beach bar, the beach restaurant and in the main restaurant. 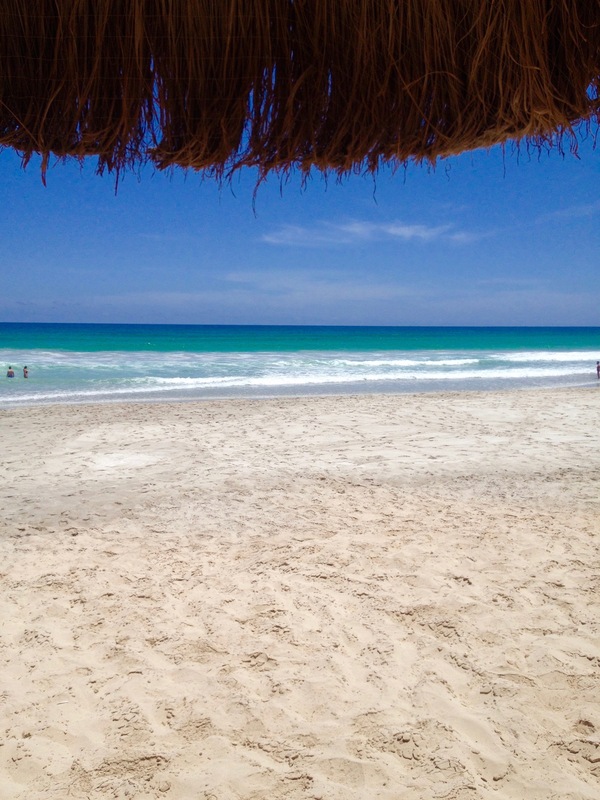 The beach is really fantastic! 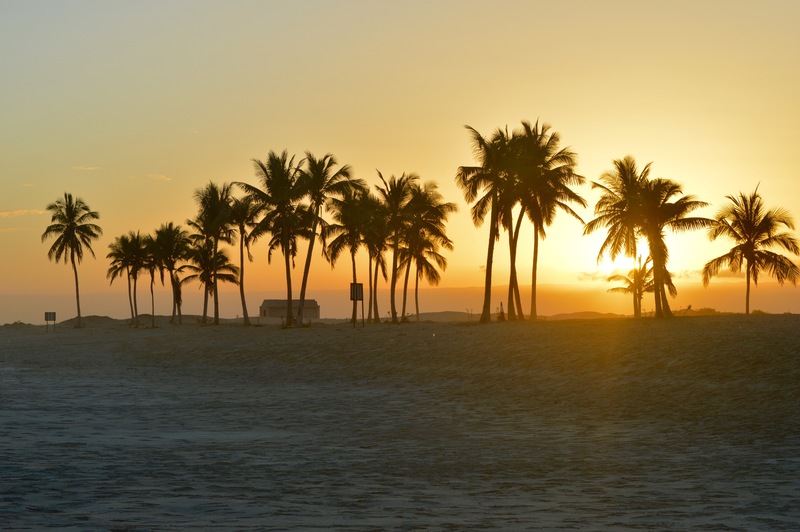 Fine, white sand, plenty of free sun beds under innumerable fruit-bearing coconut trees and gently sloping water – the oriental Caribbean! 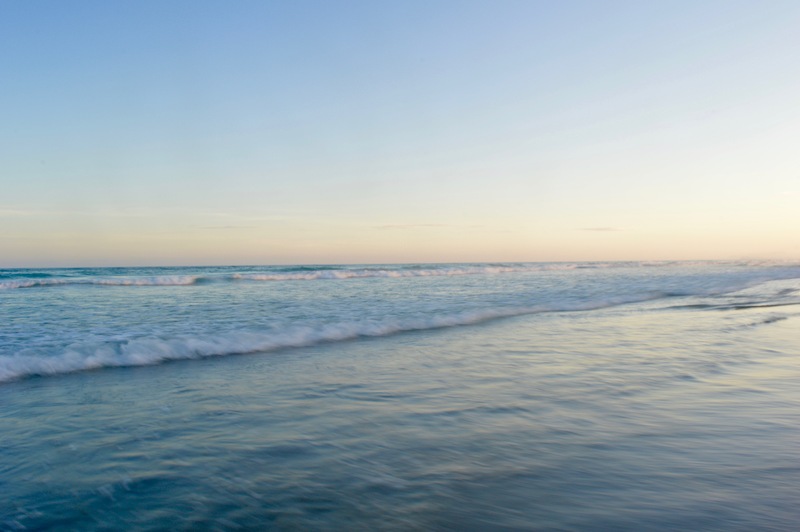 Only the high sea must be mentioned – even if several lifeguards take care of the visitors, swimming in the sea is definitely not a good idea for insecure swimmers or children! Those who prefer staying at the pool: During my stay the pool was not cooled! 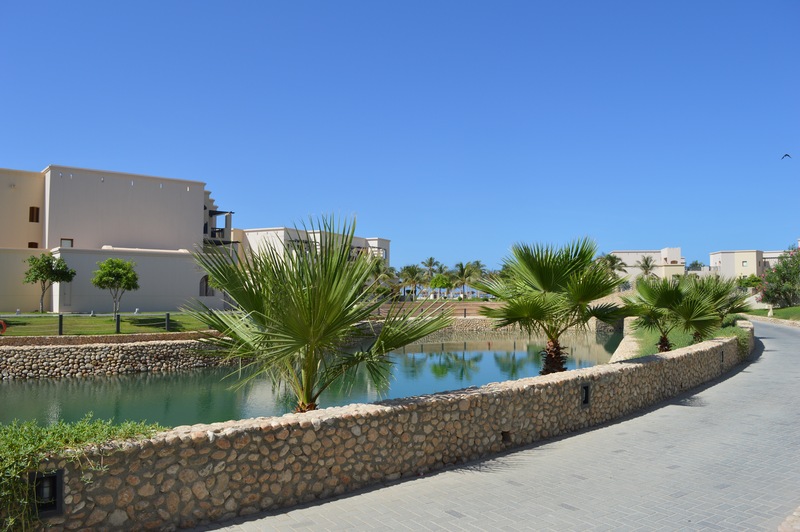 Because of water temperatures of about 35 °C, the „largest pool area in Oman“ was not to use – such a pity! Important: In the hotel, you need electricity adapters for England – not for Africa or Asia! Finally, I would like to mention the very friendly staff members! 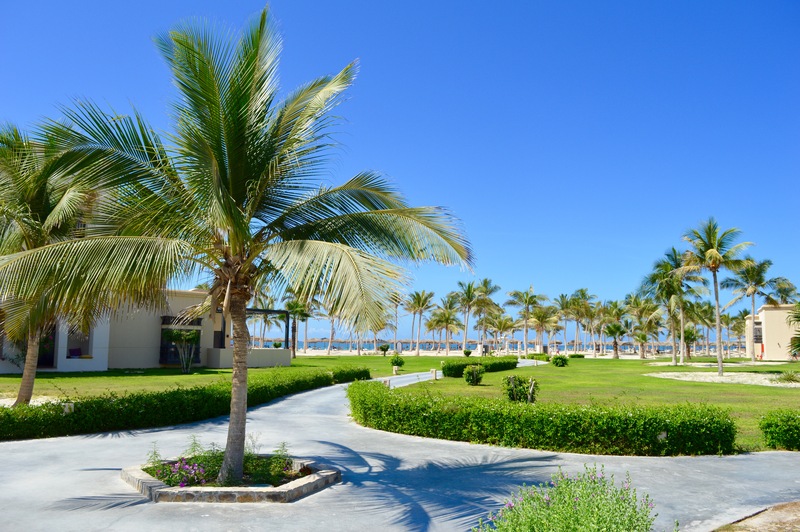 From the gardeners, the housekeeping up to the restaurant and the reception – all of them always had a smile on their faces and contribute directly to feel very well in Salalah Rotana Resort! 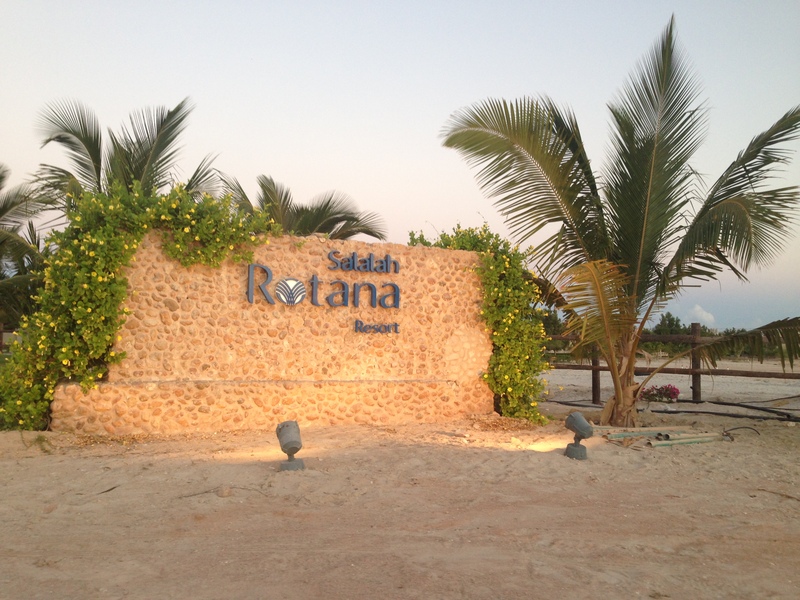 A special thank to the Salalah Rotana Resort who has generously supported my trip.